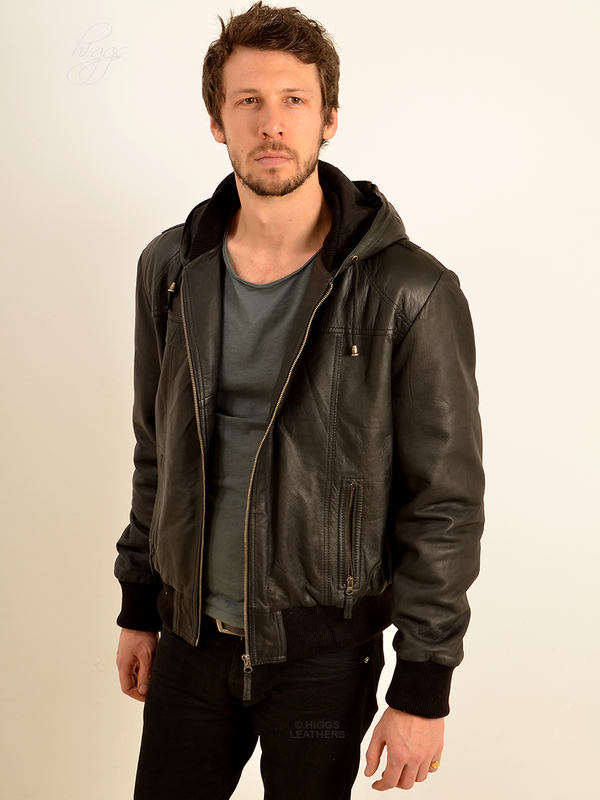 Super quality Dark Brown Leather hooded Bomber jackets for men, made from extra soft Lamb Nappa skins. The detachable hood is made from matching Leather. Laid over oblong leather patches on shoulders and right side of chest. Full size outer pockets with metal zip fastenings. Body also fastens with a strong metal zip. Toning Polyester lining and soft thermal interlining for extra warmth.